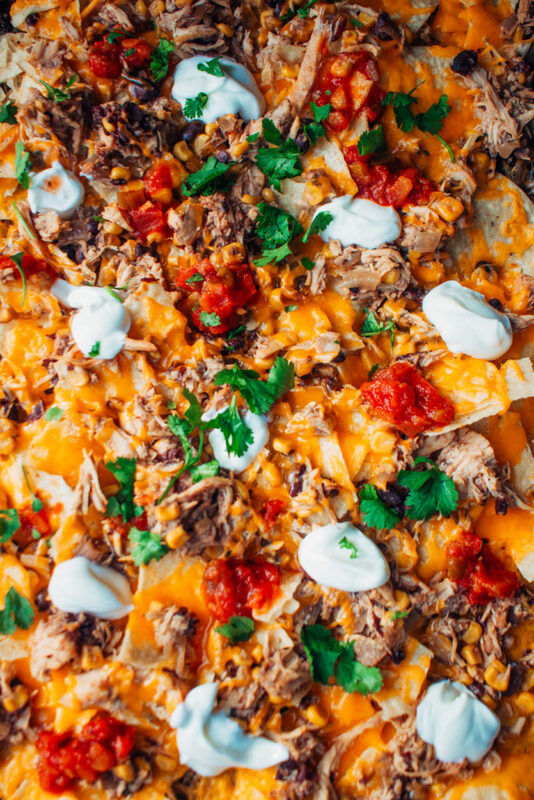 Our freezer friendly Instant Pot Chicken Nachos are a great starter meal for the Instant Pot. 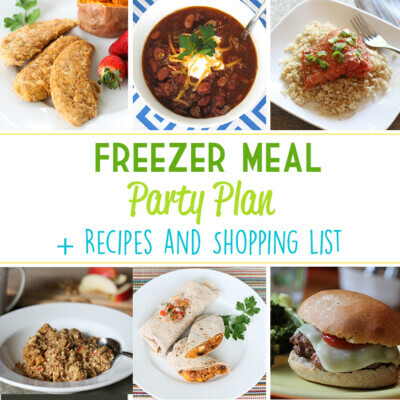 We teach you how to make this easy Instant Pot freezer meal from fresh or from frozen. 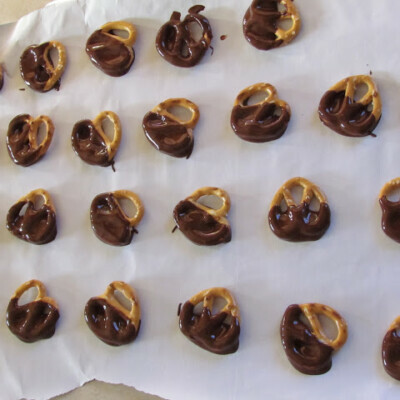 The best part about the recipe is that you can customize it how you want and it is great recipe for large groups. I can’t tell you how many people I’ve encountered who have an Instant Pot but feel a little stuck. 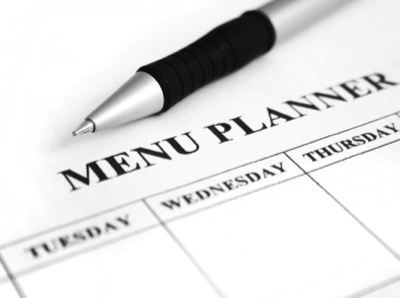 Either they are too intimidated by all of the functions or simply don’t know what recipe to start with. We’ve been working tirelessly on our next cookbook, From Freezer to Cooker, and can assure you that we have 75+ amazing Instant Pot recipes (which are also freezer friendly) coming your way in January of 2020. Until then though, we wanted to throw a few goodies your way. 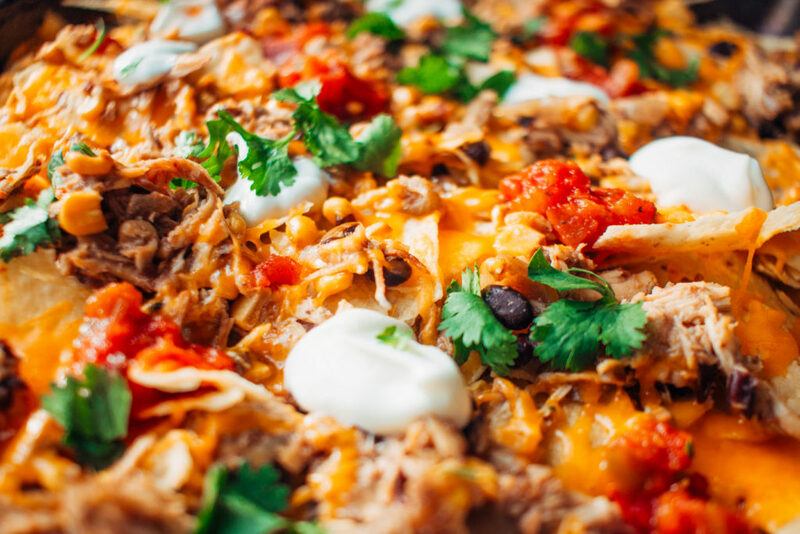 For example, this freezer friendly Instant Pot Chicken Nacho recipe! This easy Instant Pot recipe can easily customized to your family’s preferences. 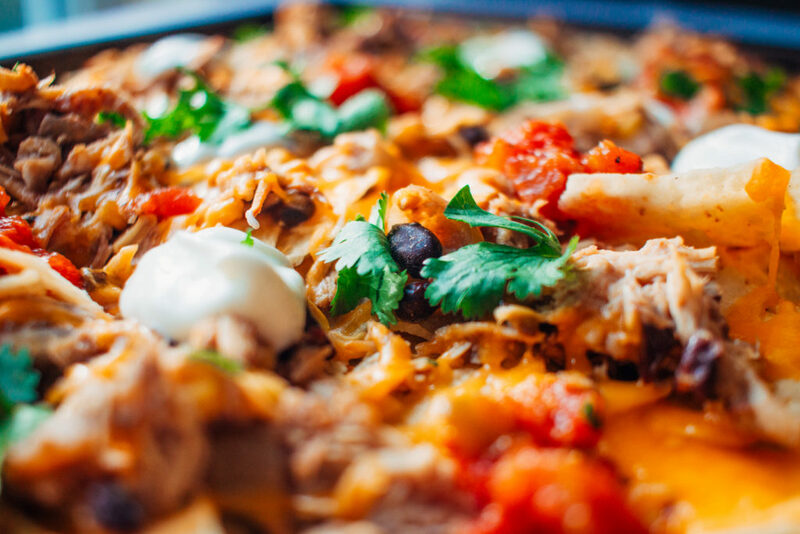 Top this flavorful chicken off with corn, beans, tomatoes, cilantro, bell peppers, or anything else that sounds good piled on cheesy nachos. 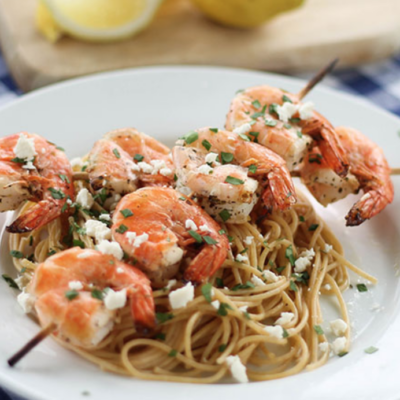 Make sure to double the recipe and make a freezer meal for a few weeks later. We’ve given freezer meal instructions in the description for you. Remove the chicken from the pot and either shred it, using two forks, or dice it. Place the chicken back into the juice. Stir it around so it picks up a lot of that flavor and stays moist. Preheat the broiler. Cover a sheet pan with parchment or foil for easy clean up. 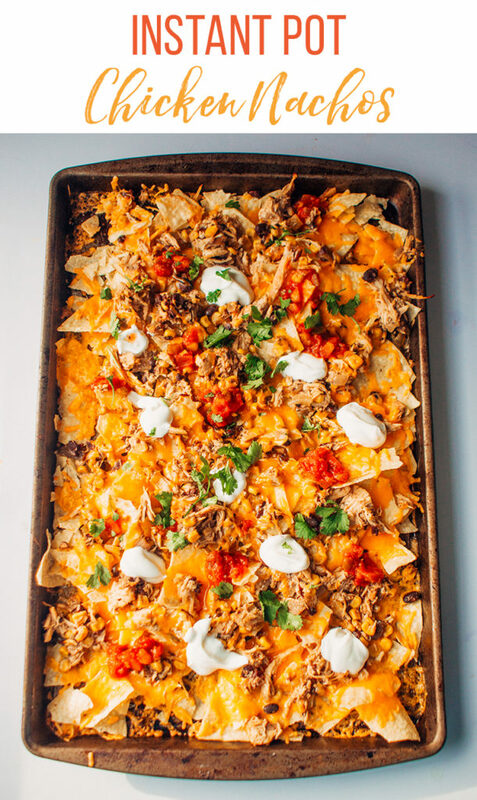 Spread out the tortilla chips on the pan. 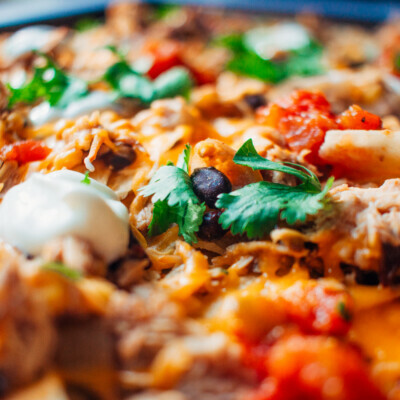 Top the chips evenly with the shredded chicken (use a slotted spoon to drain excess liquid) and the cheese. Broil for 2-3 minutes or until cheese has fully melted. To serve, top with additional fresh toppings, as desired. Serve immediately. Freeze For Later: Follow Step 1. Place seasoned chicken, salsa, lime juice, and cilantro into a gallon-sized freezer bag or round container. (Make sure to not stack the chicken.) Seal and freeze alongside a bag of shredded cheese. Tip: Set the freezer bag in a bowl in the freezer for a few hours to help it freeze in the shape of the Instant Pot. Prepare From Frozen: Note: You will need chips and your favorite suggested toppings to complete this meal. Turn on the Saute function. Saute the frozen meal for 5 minutes to release some liquid. Press Cancel. Follow Steps 2-6, except cook for 15-20 minutes with a quick release.